Wrapping Christmas presents for the recipients on your list? 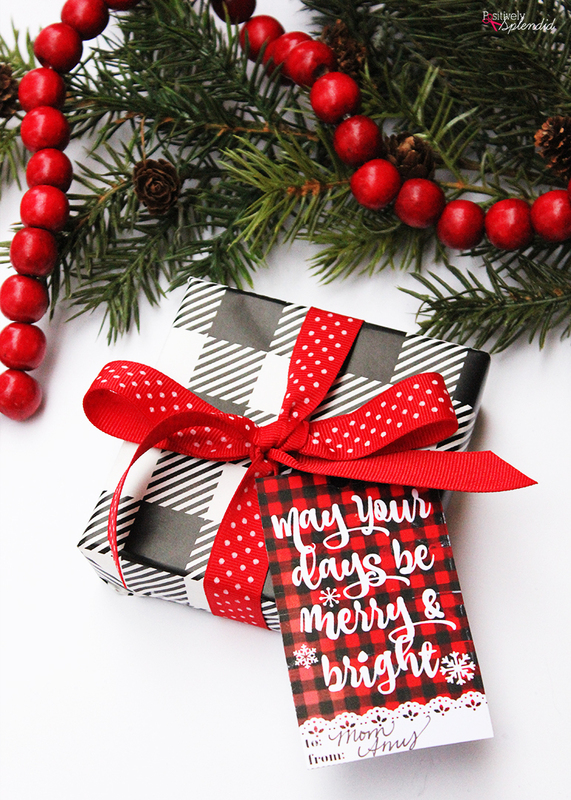 The perfect gift will be wrapped up in style with these free printable plaid Christmas gift tags. 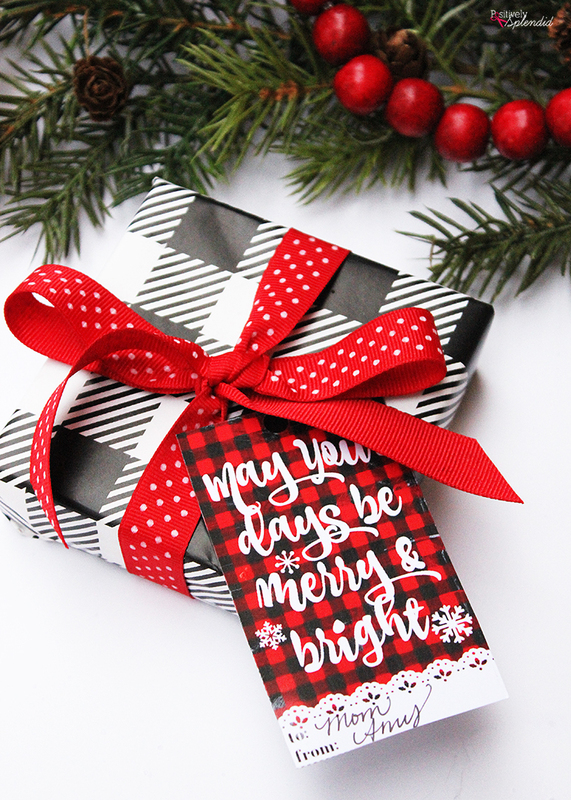 Simply download the free file, print, and tie on to a package with a pretty ribbon. 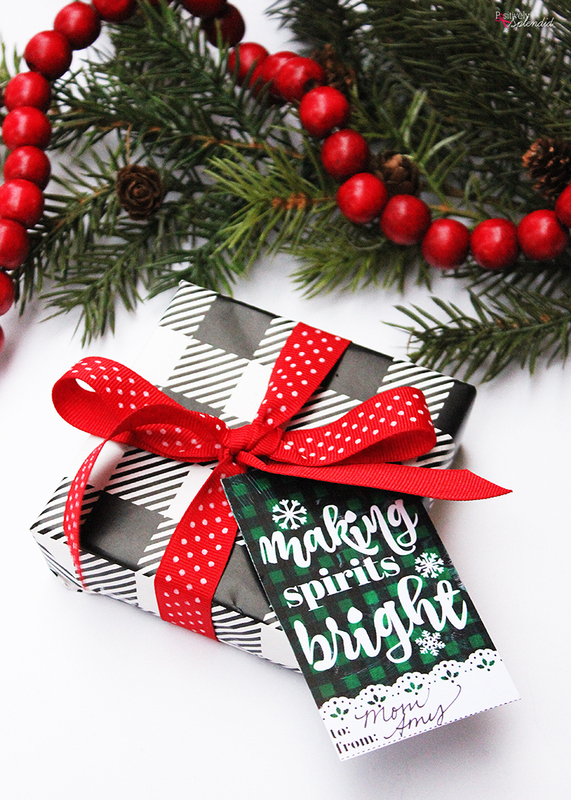 In no time, your holiday gifts will be wrapped up in style and ready to give to someone special! Connecting with friends and family is truly my favorite aspect of the holiday season. 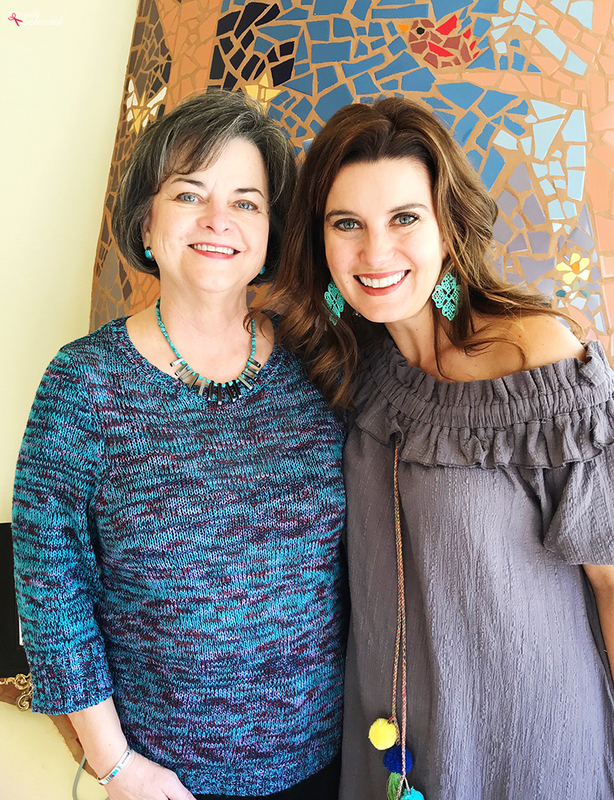 Although I won’t be able to be with my mom this holiday season, I am so thankful that the technology of the internet will enable us to connect with each other across the distance. It really is almost magical when you think about it! On Christmas morning as we unwrap our gifts here in Texas, we will be able to make a video call Mom in New Mexico so we can share this experience together. The way the internet allows us to create memories with each other across the miles between us is a huge source of holiday joy. I am truly thankful to live in a city with the type of connection that Google Fiber provides. It is astounding how much of a part the internet plays in how our family experiences the holidays, from video calls with loved ones, online gift shopping, and even finding fun holiday-themed activities and ideas, just like the free printable tags I’m sharing today. Not a day goes by during the holiday season when I don’t find something inspiring on social media to make and try with my family! 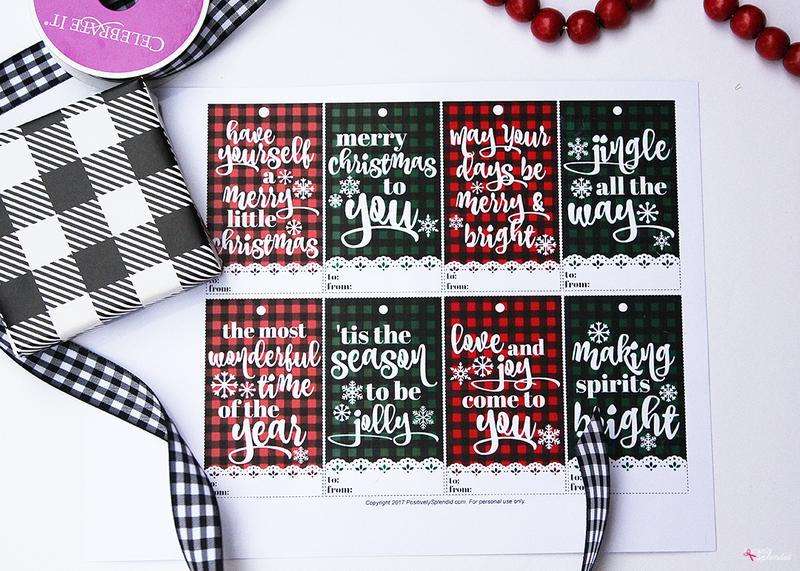 To download the free printable plaid Christmas gift tags, simply click the link below. Then, print the tags onto cardstock or photo paper (I find the glossy look of the photo paper to be really sharp! ), punch a hole through the top of each one, and tie onto a package with pretty ribbon. Each tag features a lyric from a favorite Christmas carol and a homey plaid design. I hope you enjoy them! I won’t divulge what is in these sweet little gifts just in case Mom might be reading (hi, Mom! ), but this package will soon begin its journey from Texas to New Mexico to be unwrapped on Christmas morning, and I am so thankful that the internet is a place where we will be able to share that moment together. To all of my fellow Texans in the San Antonio area, be sure to check out how we can #MakeTheInternet craftier for you, too!